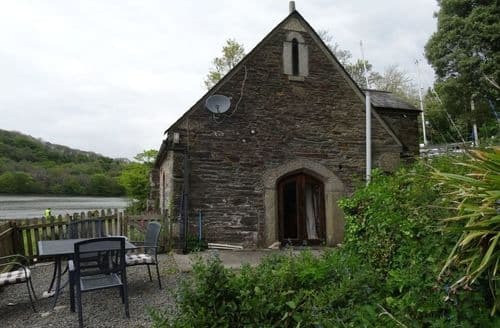 What our customers are saying about our Holiday Cottages In St. Winnow To Rent. 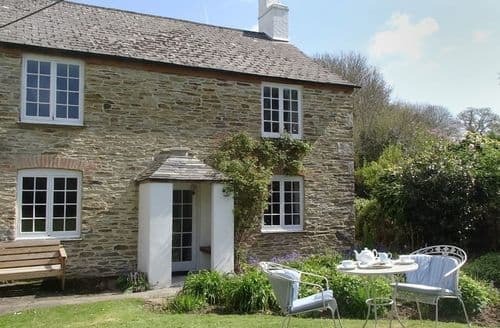 "My partner and I stayed here with Breeze, our German Shepherd, to celebrate our Cornish Grandaughter’s 1st Birthday. We were luckier than we’ve ever been in that we had sunshine for the whole week - no rain! 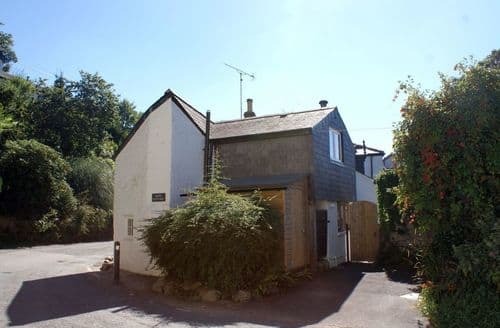 Our first impression of 1 Rose Cottage was ‘yikes’ to the driveway which is steep and is off a narrow and quite busy road, but we got used to it. 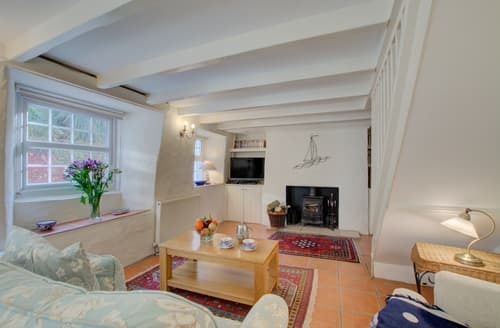 The cottage is very quaint and comfortable, providing lots of space with two lounges and two dining areas which would be great for larger parties. The kitchen, on a lower level, is modern and well equipped and has a stable door leading outside with a small utility area, useful for storing dog food & wellies had we needed them! We used the washing machine and rotary clothes drier in the garden. Bedrooms are comfy and pretty with lovely views and wardrobe space in each. The bathroom is spacious with over bath shower and a lovely view of the garden. A cloakroom toilet on the ground floor is useful. The cottage is nicely furnished, clean and has no doggy smell at all. The heating is by storage heaters which we turned off because the weather was warm enough, and we noticed there were other electric heaters available. The garden is truly amazing with different sitting areas and a large lawn with distant views over the estuary In one direction and a field in another. On different levels, accessible by steps and a slope, there is a mixture of flower borders and tubs, including herbs. The peace here is so impressive with just the sounds of the countryside. Garden furniture is comfy and includes a parasol which we needed, although the garden is big enough to move chairs into different shaded areas. We were entertained by a buzzard, regularly flying high overhead, being mugged and discouraged by other birds. 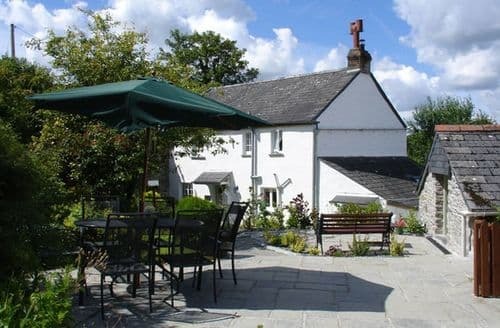 The location of the cottage is convenient for the pub which is just across the road and is dog friendly, the local shop/cafe with inside and outside seating (they have non dairy milk too! ), and for walks each side of the estuary - each with made up paths leading into woodland. There’s a lovely choice of dog walks which provide opportunities for off lead fun. The village itself is absolutely beautiful with ‘chocolate box’ cottages and gorgeous gardens. 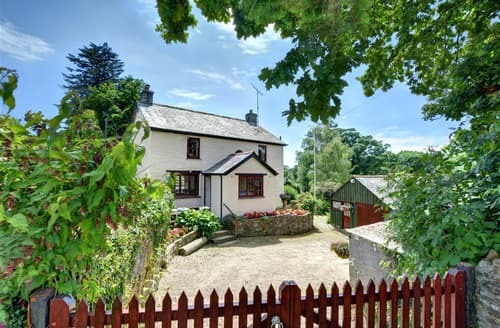 Lerryn is a great base for some fantastic places to drive to and the roads, although narrow until you reach main roads, are bordered by the prettiest hedgerows full of wild flowers. We did have a mishap on our first day when the cottage door, which is quite heavy, slammed behind us and locked us out! I would suggest hiding a key outside incase!! We found we could get a signal at the top of the garden and the WIFI worked well. 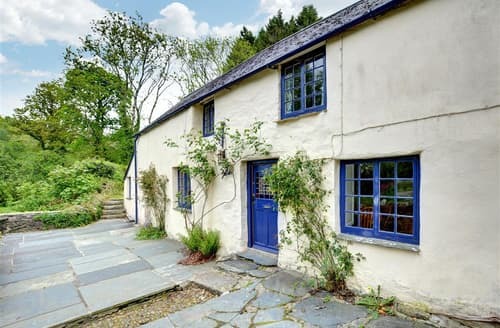 We loved this cottage and fell in love with Lerryn where the locals are really friendly and welcoming. There is a car park just down the road from the cottage but this is very busy during the day." 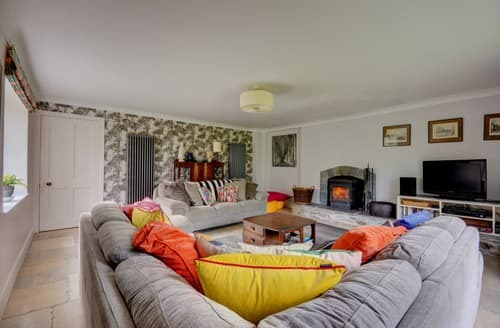 "For us it is a piece of paradise as the cottage is set in the most beautiful setting and is extremely well appointed. The owners are always helpful and caring of their tenants. Nothing is too much trouble. It is wonderful, after having undergone a long journey to get there, to be met with flowers and a cake. It is a very tranquil and private place. Sitting in the window watching the tide go in and out and seeing the visiting birds, listening to the geese is a very lovely experience. Sitting in the garden in the sunshine is also beautiful in the outlook. The house was impeccably clean and welcoming. the beds are very comfortable and the kitchen is very well equipped. We hope to return to this very special place." "The situation was good as it's not far from the village but utterly peaceful. We visited Eden and Lanhydrock and had some walks from the door as well as others a short drive away. The housekeeper could not have been more helpful. My only reservation is how much the service from Helpful Holidays has deteriorated since it was taken over by Sykes. Queries raised with the office prior to our trip were answered inaccurately, and somewhat dismissively, unlike the old days when the team actually knew the properties and owners. Please do not use my full name if publishing this." 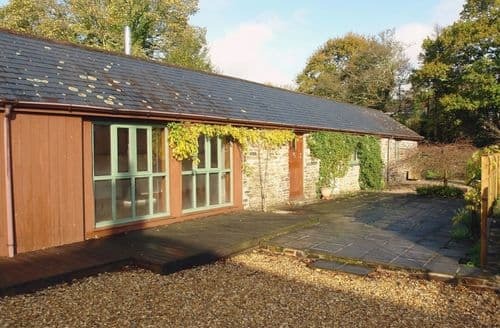 "The property was lovely and was ideal for our needs. The garden was an added bonus for us On a personal basis I would have liked a bath and I think a second toilet would be an advantage. The holiday cottage was ideal for us with the lovely secluded and enclosed garden for the dog. The owners are lovely people and we found it very interesting talking with them. When we contacted company it was a very pleasant change to be able to talk to someone, Sue, who was very helpful and efficient and not to have to do everything anonymously online"